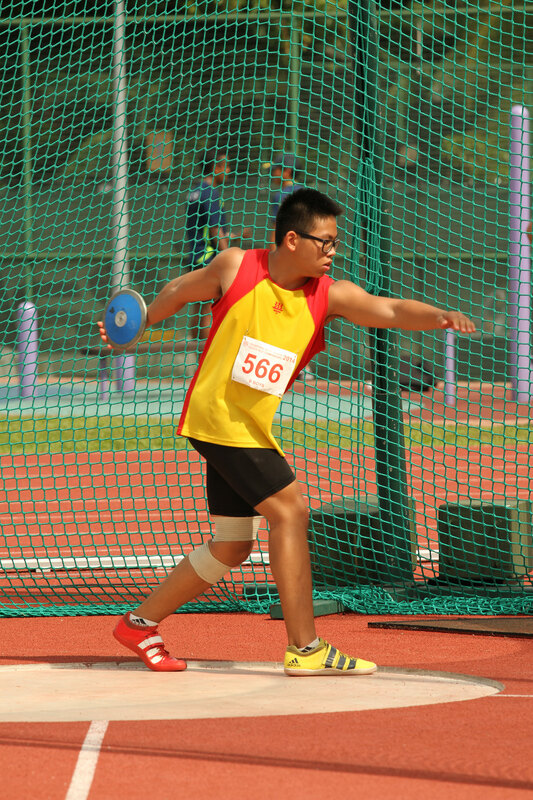 Yee Chun Wai, Eric from Hwa Chong Institution erased the old Championship mark for the B-Boys discus throw (1.5kg) with a 48.79 metres effort, a 9 centimetres improvement. The record was previously held by Scott Wong established in 2006. Eric was a runner-up from the previous edition of National School for the 1kg discus throw C-Boys last year (49.19 metres). 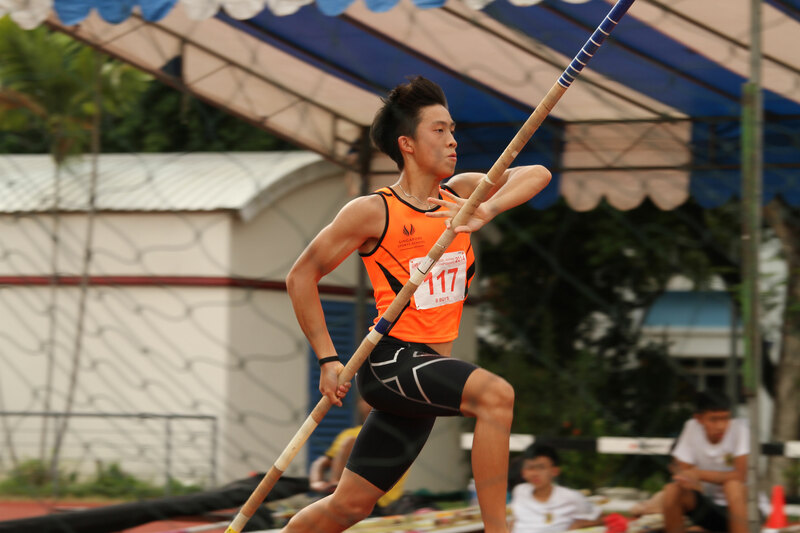 Ho Chi Kin Joel of Singapore Sports School helped his school to amass a total of 2 gold medal haul earlier via the B-Boys pole vault event. The other gold was from the C-Girls long jump. Joel soared to a height of 3.70 metres in the final. 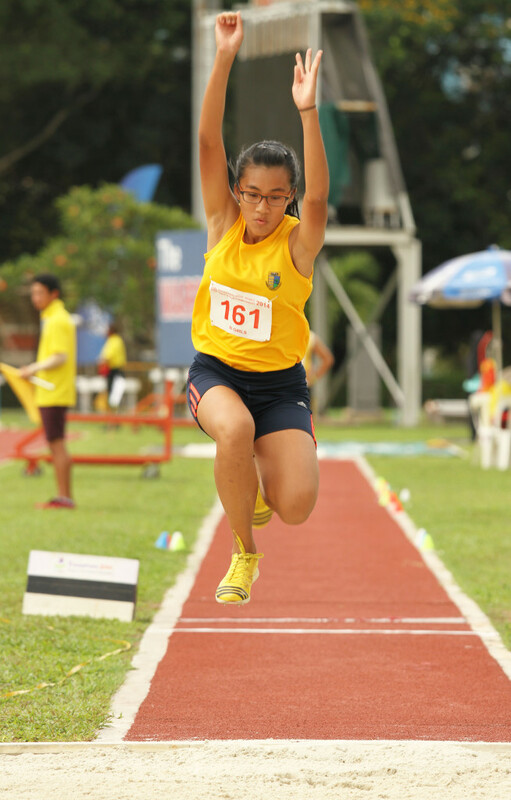 Kwok Jean Ee Daphne of Cedar Girls’ Secondary School leapt ahead of her field in the B-Girls triple jump event with a 10.92 metres personal best effort to win gold. Daphne won by the slightest of margin as the top three was separated by just 3 centimetres. It was a tremendous improvement by Daphne who could only muster 10.06 metres seasonal best last year. 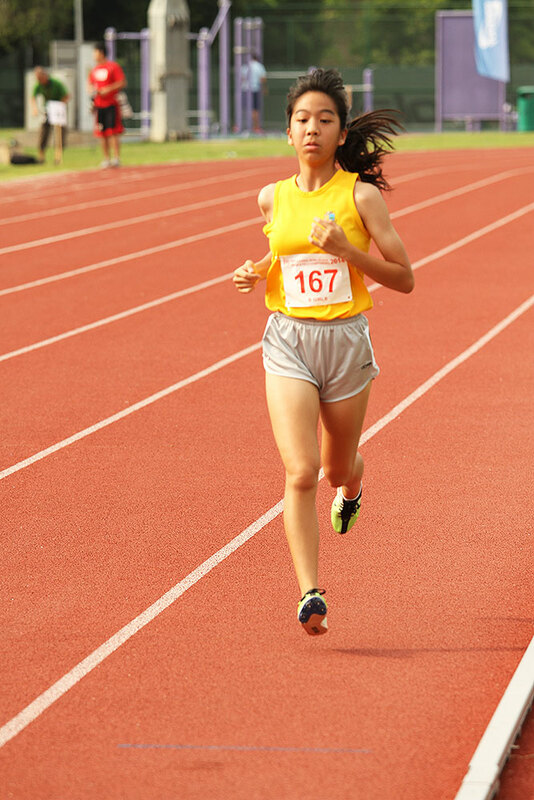 She finished second to last in the previous edition of National School (C-Girls). 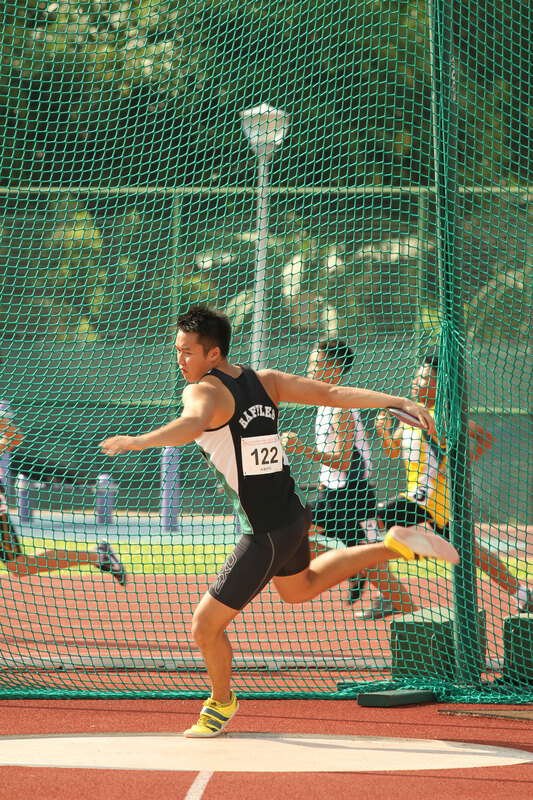 Brian See Wei Ren of Raffles Institution 50.29 metres winning throw was the only effort by a A-Boys athlete in the discus throw event earlier in the day, to hurl beyond the five-zero metres mark. He improved upon his last year distance of 48.40 metres, for the 1.5 kilogram discus implement, which also earned him gold in the same divisional event. 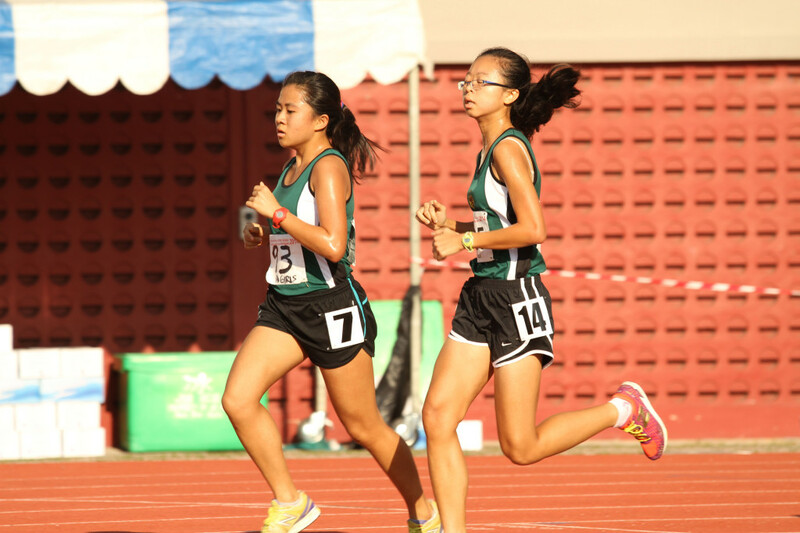 Nah Yi Xin of Cedar Girls’ Secondary School defended her 3000 metres B-Girls title. Her timing of 11:36.18 minutes time round was some 11 seconds faster than her last year’s winning time.